Podcasting has seen explosive growth over the years, with iTunes registering a total of 28 million episodes as of March 2019, up from 18.5 million in 2018—a whopping 10 million episodes growth in just one year. Why has podcasting become so popular? Well, as it turns out, many companies have recognized how effective a podcast can be for sharing news, information and updates with listeners. If you’re not on the podcasting bus, you’re losing a lot to the competition. Without further ado, let’s take a look at the 5 benefits podcasting can bring to your business. Using podcasts can help you reach out to new audiences for your real estate business. And because listeners will first subscribe to a series before gaining access to your podcasts, you’ll constantly gain more traffic as your audio series continues. Plus, your audience may recommend your podcast to their friends who may be interested in them, thus increasing traffic considerably. And if you’re lucky enough to have one featured in a leading media outlet, you can expect massive growth in traffic and conversions. 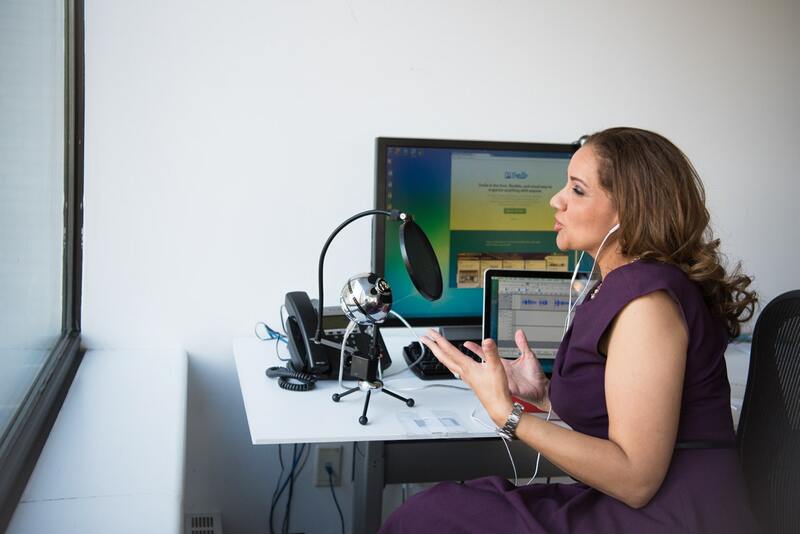 Podcasts can help you grow your real estate business in diverse ways. According to Follow Up Boss, listening to the right podcasts can help you become more productive. On the audience end, your listeners will trust you more while seeing you as an expert in your niche and this can help to build brand authority. And since only people interested in your brand or products will listen to your podcasts, you can be sure to get quality and targeted traffic. With authority, comes brand awareness. As more people listen to your podcasts, you’ll become more popular and searchable. And if you make the habit of publishing your podcasts to different directories, you’ll soon find that you dominate the search results for your industry. Another great way to boost your brand awareness with podcasting is to create transcripts of your podcasts, then post them separately on your website. This allows your audience to find them online via organic search. Podcasting is an affordable marketing strategy. All you need to get started is a microphone and a small hosting fee. A good quality microphone such as the ATR 2100 will cost you around $70 while podcast hosting plays around $20 a month. That’s the total cost if you’re doing the editing and production yourself. Compared to other marketing methods such as Facebook paid ads, podcasting is pocket-friendly. Creating a podcast is super easy. All you need is to sit down collectively with key decision makers of your business and decide on the topic to talk about. Once you’ve settled on the topic, you’ll need to decide on the best hosting sites for your podcasts, then buy the right equipment and start preparing for the first episode. If done right, podcasting can greatly increase traffic to your site and your conversion rates. Now that you know the benefits of podcasting, why not try it for your real estate business.